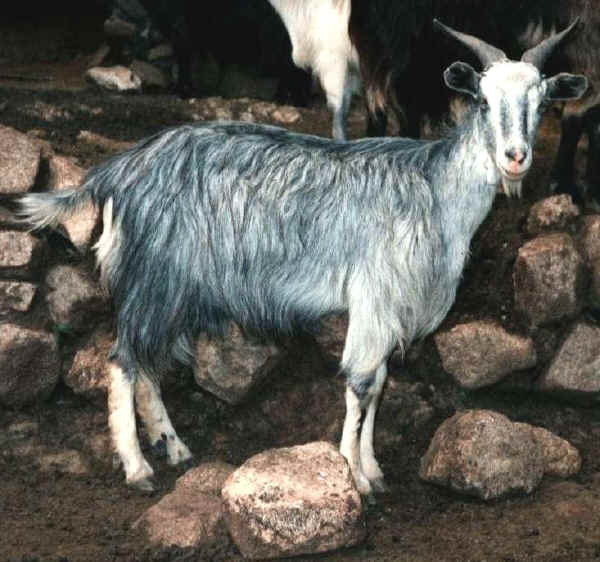 Autochthonous breed of Etna and Peloritani (Sicily), which is bred in the wild or half- wild in the mountainous provinces of Messina, Catania, Enna and Palermo. Its origin is unknown. The coat is grey shading from light to dark with silver glints. Rough, average long-haired and grey skin. The horns are upright in females and very large wide apart in males, which bear a sort of beard. It is suitable for both milk and meat (kids around 12-14 kg alive). Milk is used for typical local cheese varieties.